More than 10,000 migrants and refugees entered the country over land in the first half of 2018 by traversing the Evros River separating Greece from Turkey, against an estimated 7,500 crossings the year before, an international aid group said Thursday. “The number of incoming refugees and migrants [via the Evros route] exceeded 10,000 in the first six months of the year, more than the total number of arrivals from Evros in 2017,” Ifigenia Anastasiadi, field coordinator for Greek Medecins Sans Frontieres (MSF), told Reuters, citing police data. In a press release a day earlier, the group announced it would start offering medical services in the Evros region to help address the soaring number of refugees and migrants entering from Turkey. “Those who cross the border are held for some time in different facilities in the area, until the identification process is completed, having little or no access to healthcare,” MSF said. It said the four-month program would offer primary healthcare at the crowded Fylakio hot spot and other centers near the border, as state-run facilities in the region were understaffed. Evros has seen migrant flows surge after a European Union-Turkey deal designed to plug the most popular route – the Aegean Sea. In the meantime, many Turks have sought to flee President Recep Tayyip Erdogan’s post-coup crackdown. Several of them have drowned in the effort. Brussels said on Wednesday that an additional 37.5 million euros in emergency assistance would be disbursed to improve reception conditions for migrants in Greece. 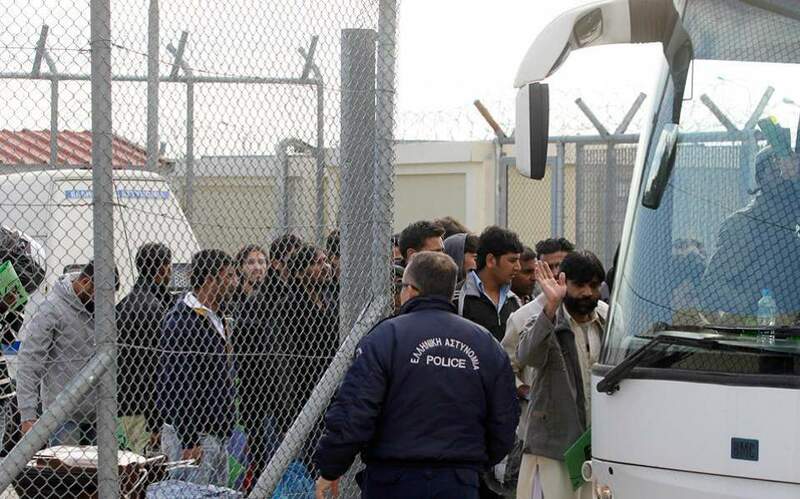 The European Commission said Greek authorities will receive 31.1 million euros to support the “provisional services” offered to migrants, including healthcare, interpretation and food, as well as to improve the infrastructure of Fylakio.